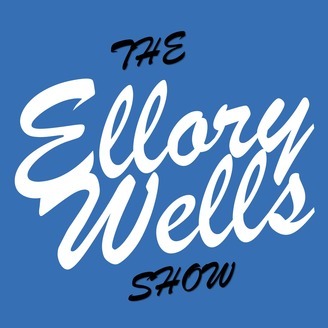 The Ellory Wells Show: Actual Entrepreneurs Share Actionable Advice to Help YOU Build YOUR Business! Helping You Develop, Grow, and Overcome the Obstacles in Your Life. Do you have a website for your business? Why? Why not? Your website, if designed properly, can be one of the most powerful tools you could have in your business. The greatest invention of our time, possibly in the last 100 years, is the internet. It's everywhere (almost), and just about everyone who has access to it relies on it. Look around you. What are the people around you doing? Are they using the internet? By the way, if you DO have a website for your business, click here to learn about the 5 pages every website needs. If you don't have a website for your business, there is so much you're missing out on. Just about every single person around you has an internet connection in their pocket that they look at 157 times a day on average. Last week I taught you the 3 things you need to start a business. And, surprisingly, a website was NOT one of them. Today, however, I'm going to argue with myself and say, boldly and with confidence, that you can't have a business if you don't have a website. If you have a website, you can do so many things! From blogging to selling products to collecting email addresses, a website is a critical component to any business that wants to thrive in the internet age. Since starting CigarScore, I've found a lot of businesses that rely on their Facebook page. While business profiles on social media are good, they do very little to help people find your business. Facebook gets a lot of attention, but people (i.e. your customers) aren't going there to find your business or to discover businesses like yours. Your customers might go to their news feeds to ask for feedback and the opinions of their friends, but most social media sites aren't great for finding new places to eat, enjoy a cigar, or to buy financial services. When people want to buy, they search Google. If you don't have a website, it will not be easy for customers to find your business via search engines. Technically speaking, search engines don't do a great job of indexing pages within Facebook, Twitter, or LinkedIn. Yes, your business page might show up, but there's not a lot of search engine optimization (SEO) you can do on a social media page. Go to your favorite search engine and do a search for a product or service you've been thinking about buying. How many Facebook business pages show up in the results? You can't submit your Facebook page, your Twitter profile, or your LinkedIn bio to Google's or Bing's webmaster tools. You can't request that search engines index your page. Therefore you're missing out on traffic from people who are looking to buy. When people search Google or Bing for restaurants, jewelry stores, banks, cigar lounges, and shoe stores, after sponsored results (which you can't link to a Facebook page), the first results are map locations. However, if you search for a business you can walk into, above all of the regular search results, you'll see a map. When your future customers are looking for a place to go, they want to know where it is in relation to where they are now, they want to know how to get there, and they want to know if you're open for business. People searching for places to eat, drink, shop, etc., are hot leads. They're ready to buy! Nobody searches for the closest shoe store if they're not ready to purchase shoes. Maybe not today, but within a week – guaranteed. Google loves businesses with websites. Websites allow consumers to learn about a company and feel more comfortable spending money there. And, since Google prefers businesses with websites, they include a way to get to a business' website in the Google Maps results. If you don't have a website for your business, you're missing out on hot leads and sales. When people search for a type of business, like steakhouses, they're hungry and are looking for a place to eat. If you don't have a website that you can link to your Google Maps result, you're missing out on sales. Let's say you've done a great job of getting people to follow you on Twitter or like your Facebook page. Let's say you've done a REALLY good job, and you have over 10,000 followers and/or likes. Now let's say you want to tell your like-ers and followers about the event you have coming up next month. If all of your customers only follow you on social media, they aren't your customers – they're Facebook's, Twitter's, and LinkedIn's. Even if you pay to sponsor a post, you're still going to reach about 5% of your like-ers and followers. The truth is, you can't export data from Facebook or Twitter. You can't get your customer's contact information and you can't reach out to them. Even if you could, you'd have to do it individually, and that would take hours, if not days. One to one messaging isn't scalable, and your reach on social media isn't enough to bet your business on. NOTE: Yes, you can export your friends from LinkedIn. However, since they didn't opt-in to receive emails from you, you are legally not allowed to add them to an email list. However, with a website, you can collect contact information for people who buy from you and who like your business. When someone gives you their email address, you're legally allowed to send them emails about upcoming events, new products, promotions, and other business-related things. If you have an email list, you can reach 5-10 times as many of your customers than if you were to rely on social media alone. With ActiveCampaign, my email broadcasts have a 38% interaction rate, not 2% like on Facebook. Plus, if you have someone's email address, you can upload their email into Facebook and use their ad software to place ads in their news feed in addition to sending them an email. Your email list is one of the best business assets you can own. So, start building it now. I use and recommend ActiveCampaign for this. Reason #4 that you should have a website for your business is that you have complete control over what goes on it. If you rely on listing sites, your business is listed right next to 1000 other businesses. And, if someone provides their email address to those sites, those sites own the customer, not you. In most cases, if there's a middleman involved, that middleman owns the relationship with the customer, not you. When you have a website for your business, you have complete control and freedom over what does (and doesn't) show up. You can sell what you want, not what someone else says you have to sell. You can say what you want. Or, you can choose to say nothing at all. You can host forums where your customers can chat with each other and connect over shared interests. If you have a website for your business, you can offer affiliate products and make additional revenue simply by offering other people's products you use and enjoy. You can see how I offer affiliate products on my resources page. On your website, you control the conversation. Ok, “control” is a strong word. At the very least you can be a part of the conversation. Because people ARE talking about your products, the question is if you're aware of it. If you're curious about what type of information needs to be on your business' website, click here to learn the five pages every website needs. When you have a website for your business, you have the ability to sell your own products. With free software from WooCommerce and a free SSL from GreenGeeks, you can easily and securely sell products from your website. Yes, there are other online marketplaces out there where you can create and sell your own products or the products of other people. However, all of those marketplaces take a cut out of your sales. Sometimes up to 30%! If you have a product or service that meets a need (one of the three requirements for starting a business), you should sell it to the people who have that need. You're in business to make money, and by having a website, you have one more way to generate revenue. I have three businesses, and each of them sells products online. When I sell a product or service from my website, I keep 97% of the revenue. If you sell physical products, you should also list and sell them on Amazon.com. Amazon has the traffic and attention of millions of people every day. If you're not on Amazon or at least using them as a distributor of your products, you're missing out on a lot of revenue. But Amazon takes 30% of your revenue! Etsy takes at least 5%. And with both platforms, you have to abide by their terms and conditions which means you give up a lot of control (See #4). There are so many benefits to having your own website it would be impossible to list them all here. Having a website for my business has given me digital freedom that allows my wife and me to travel the country while still making money. The internet is a powerful tool, and with a website, your business can take full advantage of it. Questions? Comments? Have an online business without a website? Let me know in the comments below. 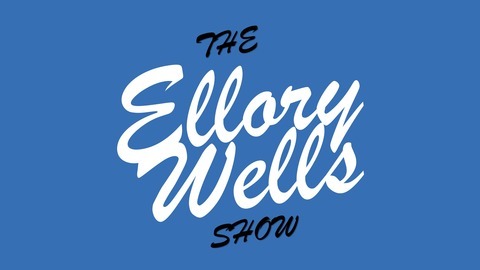 Click here 5 Reasons You Need a Website to visit Ellory Wells and leave a comment.